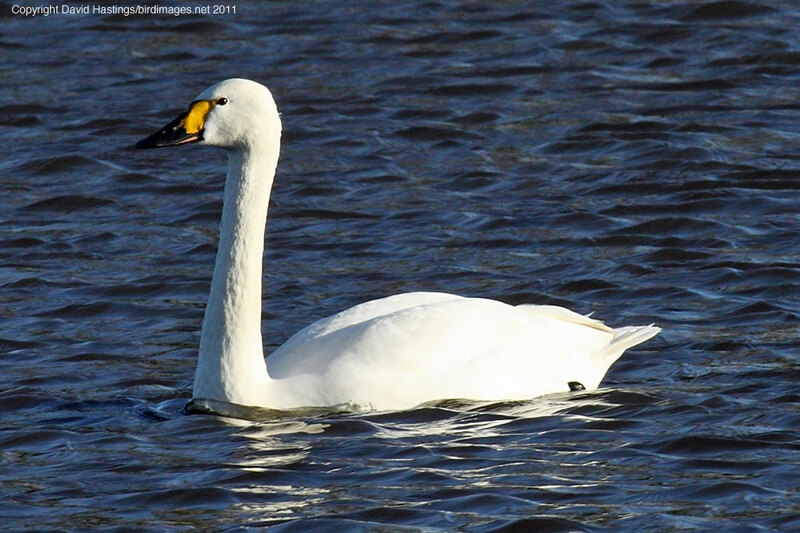 Bewick's Swan (Cygnus columbianus). Taken at Slimbridge, Glos., on November 27th 2011. Taken at Slimbridge, Glos., on November 27th 2011. Bewick's Swan (Cygnus columbianus). Taken at Slimbridge, Glos., on January 17th 2019. Taken at Slimbridge, Glos., on January 17th 2019. 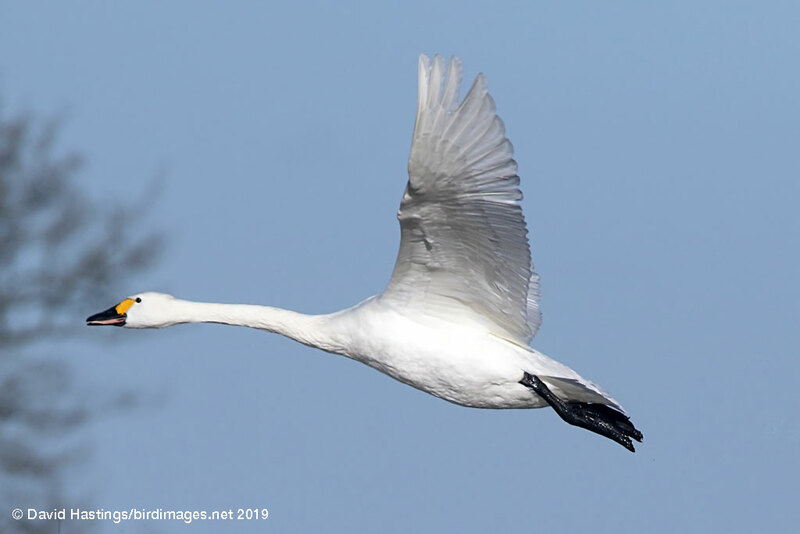 The Bewick's Swan has more black on its bill than Mutes and Whoopers, and is considerably smaller and more like a goose in shape. It breeds on far north-east tundras by the Arctic Ocean and winters in north-west Europe. In the British Isles it is found mainly in eastern England, around the Severn estuary and in Lancashire with concentrations at the Ouse and Nene Washes (Cambridgeshire), Martin Mere (Lancashire) and Slimbridge (Gloucestershire). About 8000 birds spend the winter here. Bewick's Swans are quite vocal, with yapping or honking calls. Its conservation status is amber, as it is increasingly threatened by loss of habitat and man's activities.